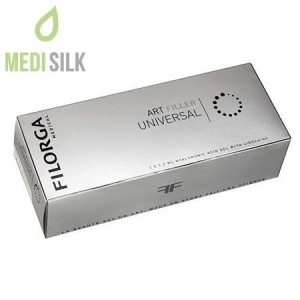 Kiss Purse Sense is a dermal filler from the Teosyal brand, specifically tailored for lips, with it’s high viscosity. The filler is used for professional fine shaping of lip contours, increasing their volume and treating wrinkles in the ares around the patients mouth. 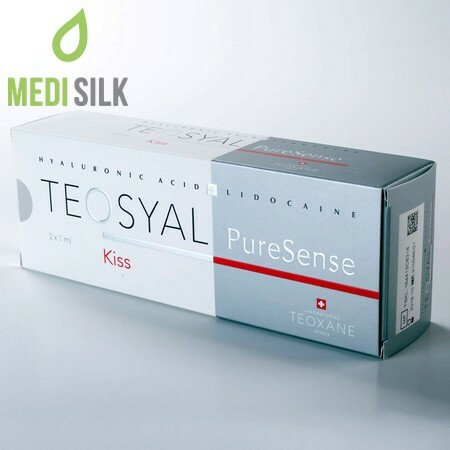 There are many qualities to Teosyal Kiss PureSense, but in short this is a highly efficient, safe to use dermal filler, with long-lasting effects. 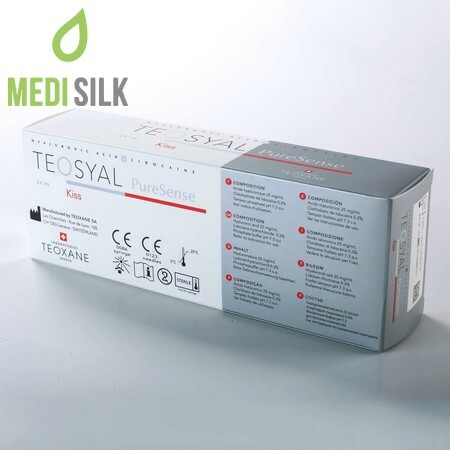 Produces in Switzerland by the global cosmetic product company of Teoxane, it’s main ingredient is hyaluronic acid, extracted from non-anmal sources. 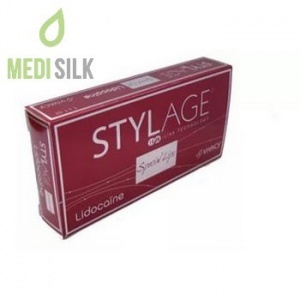 The product is suitable for usage for almost all patients and it’s effects are visible almost immediately and retained for an extended period of time. 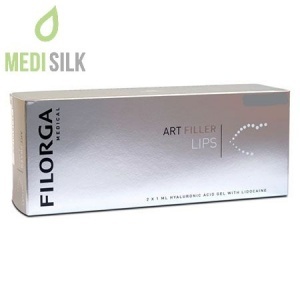 Due hyaluronic acids property to absorb water of up to a thousand times its own volume, this lip filler by Teosyal is an effective way to preserving both form and elasticity. Hypersensitivity reactions, irritation and inflammation are reduced to a minimum due to the reduced protein and bacterial endotoxin levles of Kiss PureSense.